This past September, I had the opportunity to spend a day watching Sandra Herbst in classrooms with the students and staff of Kaw Tay Whee School in Dettah, Northwest Territories. Sandra was doing a series of demonstration lessons in classrooms with students from 3 years of age to students in Grade 8. The staff members and I watched Sandra co-construct criteria with students from two different multi-age classes. It is something Sandra has written about in her blog, both from the perspective of observing colleagues as well from a learning perspective. Some people might make assumptions about what students in a small, northern community can do or not do or how they may or may not participate. If the assumptions were that these students would be knowledgeable about writing and enthusiastic learners, then they would be correct. 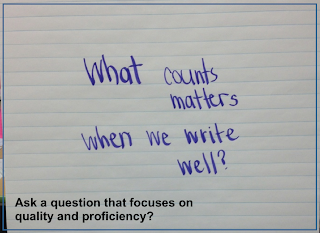 Sandra asked the question, “What counts... what matters... what is important when we write well?" Sandra led the process. 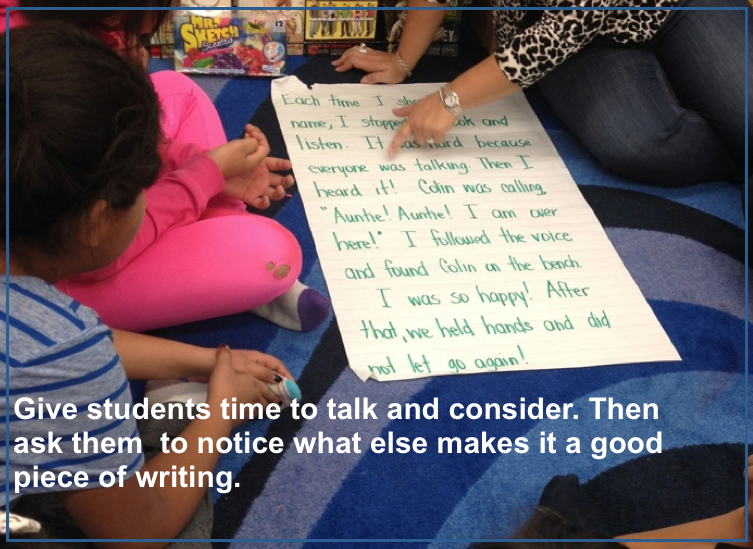 Together students, with Sandra's guidance, examined part of a sample and brainstormed ideas about good writing. 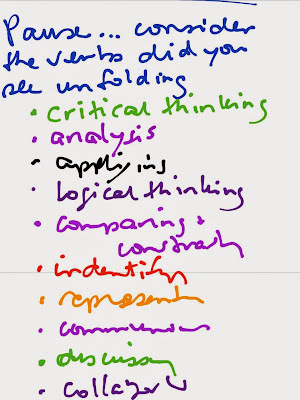 As students identified what was important in a chunk of the sample, an adult recorded student ideas on sentence strips. Then, another chunk of the sample was examined. They continue, chunk by chunk, until all ideas were surfaced. The teacher also contributed ideas. 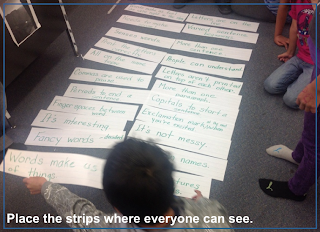 Once all ideas have been recorded, it was time to sort the strips into three to five groups. The next step was to use the criteria. 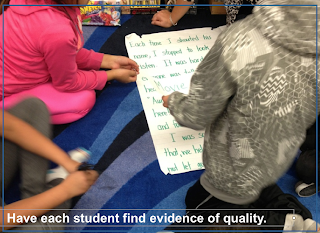 One way is to have students practice by finding proof in the sample, in another sample, in their own work, and then, eventually, in a peer's work. Every curriculum document and set of standards includes these kinds of words. 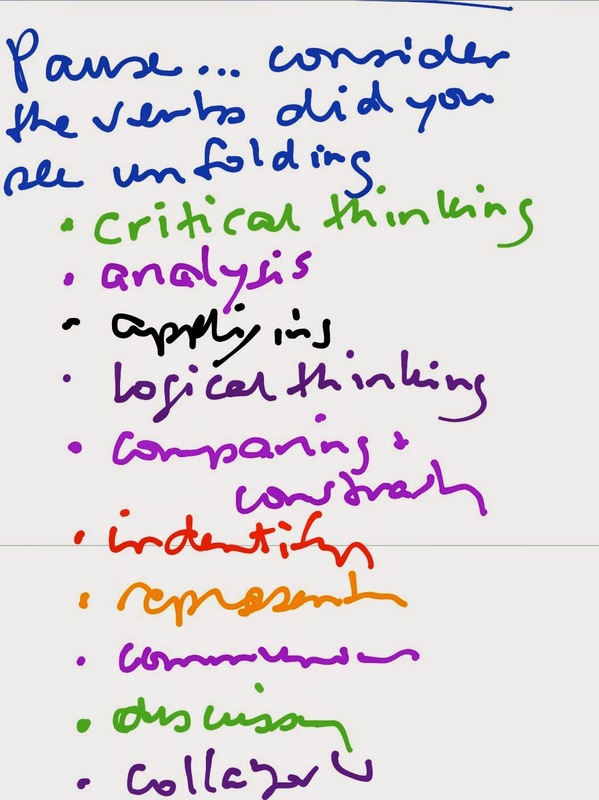 When we co-construct criteria with students we help them better understand quality and proficiency as well as learn the language of assessment – of learning. 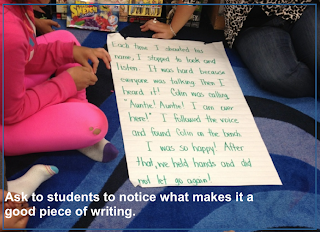 And, at the same time, students learn. This is a powerful 'assessment in the SERVICE of learning' undertaking. It is also a powerful way to teach students executive functioning... and that will be the subject of my next post. 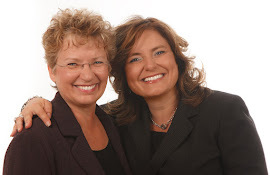 PS If you'd like Sandra Herbst or Brenda Augusta to demonstrate quality assessment, teaching, and learning in your school, please contact Kathy (kathy@connect2learning.com) or call 1-250-337-8244.